Chris Goodnight came to us from Chicago where he owned his own company. When his wife was hired by the University of Illinois, they moved to the Champaign/Urbana area. 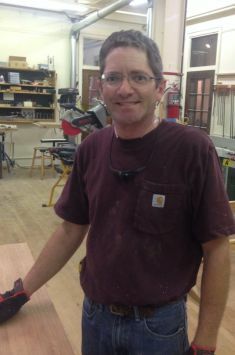 Chris works with Mike and Shane in producing our beautiful cabinetry. He joined Buzard Pipe Organ Builders in February of 2013.